Has the Irish presidential poll damaged Sinn Fein? Had it not been for the beyond abysmal performance of Fine Gael's dreadful candidate for Ireland's Presidency, Gay Mitchell, who managed to amass a mere 6.4% of the votes in Thursday's election, and who couldn't be bothered to show up for the final declaration, there would be a lot more attention on the relatively poor performance of Sinn Fein's Martin McGuinness, and on the arrogant assumptions that lay behind his candidacy. 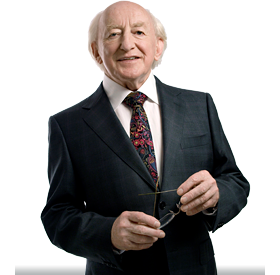 Before doing so, it is worth acknowleding that McGuinness's intervention in last Monday's TV debate certainly secured the presidency for Michael D Higgins, although I still think Gallagher's vote was pretty flaky even before it, as a cursory look at the raw polling data showed. However, McGuinness was supposed to garner at least 20 per cent of first preferences and place Sinn Fein's vote at least on a par with the Labour Party. And while it is true that his 13.7% is up on Sinn Fein's 9.9% in the general election, such a marginal improvement hardly justifies endangering the entire Northern Ireland government and opening up the can of worms that is the IRA's not too distant past. Sinn Fein expected Irish voters to be grateful to them for standing McGuinness, and then were astonished at the extent of their ingratitude. The renewed focus on the IRA's unsavoury past may also have lasting consequences for Sinn Fein's vote in the Republic: if their leading celebrity candidate cannot advance further than this in such a volatile campaign, what hope is there for the less elevated retired gun-runners and gullible groupies that the party puts up in more prosaic circumstances? McGuinness made an important contribution to the final result through his interventions in the final debate, but even he must be wondering whether the damage that the whole campaign has done to his and Sinn Fein's reputation was quite the masterstroke that Sinn Fein thought it to be six weeks ago. 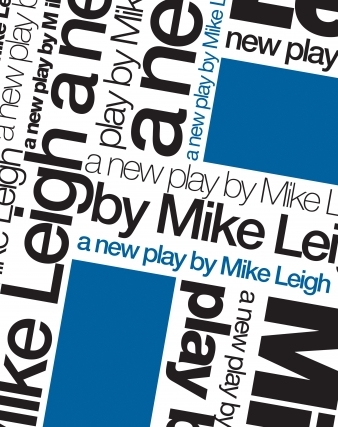 The stultifying world of late 50s suburban middle class respectability mixed with the memories of wartime loss is the setting for Mike Leigh's remarkable new play, Grief, which has its first out-of-London run at Bath this week. Lesley Manville plays Dorothy, a war widow trying to bring up a 15 year-old girl Victoria (played by Lark Rise star Ruby Bentall) in a household shared with her soon-to-retire brother Edwin (a fine buttoned up turn by Sam Kelly). The two-hour play, which runs with no interval, follows a series of events from autumn 1957 to summer 1958, as Victoria is supposed to be preparing for her O levels and Edwin faces retirement. Special days like Christmas, New Year and birthdays are intertwined with occasional visits from their friends. Each vignette takes place in the living room, where the only real communication between Dorothy and Edwin is through old songs beautifully rendered by Manville and Kelly, and where the chasm between mother and daughter grows ever wider. There are a remarkable number of scene changes, each adding to our understanding of the characters, and all leading to a terrible denouement. We were treated to an after-show discussion with Leigh and his cast last night, and the most fascinating revelation from Manville was that the set behind the stage contained furnished bedrooms to give the upstairs events that we only ever hear a firmer grip on reality. With a fine cast, this is an excellent new play. Three weekend opinion polls have now given solid leads to the 'independent' business candidate Sean Gallagher in the Irish presidential election. Gallagher has clearly been unaffected by revelations about his Fianna Fail background or his patchy business record as a Dragons Den presenter. His tactic of contrasting his relative youth with the age of 70-year old Labour veteran Michael D Higgins seems to have paid off and Higgins clearly faces an uphill battle winning this week's poll. Gallagher is running at around 39-40% to Higgins 25-26%. All the polls confirmed that Sinn Fein/Guardian candidate Martin McGuinness is a distant third, with Paddy Power shifting his odds to 50/1 as a result. But a closer look at the data behind the Red C poll suggests that it will be a lot closer between Higgins and Gallagher than the 14-point gap would suggest. For a start, if one includes only those who will definitely vote (a particularly important indicator if turnout is low), the gap falls to eight points. And then, so long as McGuinness stays in third position (as his transfers will mainly go to Gallagher), Higgins should benefit from most transfers from the other candidates, in the STV election. So there is a lot to play for in these closing days. But Ireland has a pretty clear choice: a vote for the politics that sent it into the abyss, in the form of ex-Fianna Fail member Gallagher, or a vote for a broader more outward-looking culturally astute Ireland as represented by the best culture minister Ireland has had in Higgins. 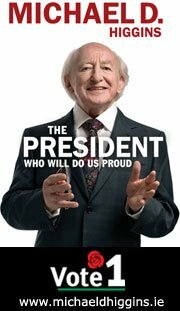 It may not be as defining an election as the 1990 election that saw Mary Robinson win, but it is a pretty defining choice all the same. With schools ministers still behaving like they are in opposition, it is worth highlighting some of the remarkable exam results that have been released today. The GCSEs sat in 2011 were taken by students who started their exam courses two years ago, and their achievements reflect the significant reforms introduced by Labour in office, including sponsored academies and programmes like the London Challenge, as well as the floor targets that have been embraced and extended by Michael Gove. A remarkable 58.3 per cent of pupils now gain five good GCSEs, including English and Maths. This compares with 35% in 1997. In London, which was well behind in 1997, 61% of pupils now reach this standard. What is particularly worth noting is that these results are not just about doing 'soft subjects'. The DFE's statistical release shows that the proportion of pupils gaining English and Maths GCSEs at grade C and above was 61 per cent. There has been a small increase in the numbers achieving the 'English Baccalaureate', though the numbers taking language GCSEs fell again. Ministers have rightly highlighted the success of academies - with an average improvement around twice as fast as that of other schools. 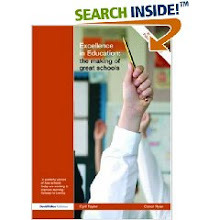 The provisional GCSE results for 2011 show that in academies the percentage of pupils achieving 5 or more GCSEs including English and maths rose from 40.6 per cent to 45.9 per cent, an increase of 5.3 percentage points whilst in all maintained schools the percentage of pupils achieving 5 or more GCSEs including English and maths rose from 55.2 per cent to 57.8 per cent, an increase of 2.6 percentage points. Their success has helped drive up the overall average significantly. Stephen Twigg has wisely started to jettison Labour's post-government ambivalence to academies: he needs to ensure that today's results are seen as firm evidence of the success of our policies in government. Matthew Taylor has already raised some pertinent questions about the power of regulators, after a seminar that he expertly chaired at the RSA yesterday. There is a particularly interesting debate underway in government, reflecting some of the schizophrenia that surrounds the whole issue of regulation and accountability. Over the past 20 years, there has been a transformation in attitudes to data within the public sector, particularly in schools. It isn't just about high profile league tables, though their presence has undoubtedly spurred some improvement. As important has been the ability of schools to compare their performance with others with similar characteristics, and to benchmark themselves against the best in their field with the help of organisations like the Fischer Family Trust. Familiarity with data, a rarity 15 years ago, is now universal among school leaders. For the coalition, this data is at the heart of their accountability agenda, and in an education system where many of the levers have been withdrawn and market forces are largely absent as a result of the admissions system, an ever-increasing supply of data is the seen as the biggest driver of improvement. The corrolary of this is that regulators like Ofsted, the schools inspectorate, are expected to do more with less. Michael Gove, the education secretary, is facing growing opposition in the House of Lords to the idea that schools designated outstanding, even if that designation is several years old, should not be re-inspected unless there is a significant change in the data or substantial parental complaint. Gove has decided that such schools are low risk compared with the failing and barely satisfactory schools where he wants Ofsted to focus its resources. There is nothing new in the idea that such interventions should be in proportion to their success. Michael Barber's phrase informed an approach to inspection that did focus resources on the weakest schools and saw inspections of the most successful reduced to short visits as little as every six years. But there is a big difference between short six-yearly visits and none at all. For a start, the expectation of a future Ofsted visit is as important as the visit itself in spurring improvement, and this is as true in successful schools as any other. Then, the evidence suggests that a significant minority of outstanding schools are less successful on re-inspection. Inspectors themselves need to know how good schools can be if they are to set their sights high enough for those that don't make the grade. And, as Gove himself acknowledged, even many outstanding schools may not reach that grade in their teaching and learning, and need to be encouraged to do so. At the heart of all this is a debate about the balance between risk and regulation. Inspectorates are there to reveal what is wrong, but also in doing so to encourage public services to do better. Ofsted has had remarkable success in this since its inception, and has arguably been as important to the improvements of the last twenty years as league tables and other published data. Gove has set himself ambitions for England to become a world-beater in education over the next five years. In doing so, he is accepting that schools have improved, but is insisting they need to do much better. Is there a danger that he has made his goal harder by reducing pressure on those schools that need to be at the vanguard of such global ambitions? Where should that balance lie? David Cameron's two big crises of the moment, the Liam Fox/Walter Mitty saga and the slow death of Andrew Lansley's pointless NHS legislation owe a lot to another member of his cabinet and a silly self-destructive piece of gesturist posturing. Francis Maude's obesessive opposition to political advisers in government has led Fox to use unorthodox methods to maintain the advice of his Alanticist soulmate Adam Werritty, while Lansley's ludicrous bill would never have seen the light of day had Cameron enjoyed half-decent political back-up in No 10 while it was being dreamt up. I hold no brief for the increasingly bizarre Werritty or his politics, and some of the meetings that he set up would not have been appropriate for any political adviser. But a Secretary of State is entitled to have political advice that reflects his political position as a counterweight to the bureaucratic certainties that he will receive from his civil servants. The civil service is fine at offering what it sees as the tenable options on any issue, but it can benefit from radical challenge from political advisers as well as ministers. And the idea that ministers should not have sufficient political back-up to fulfil a democratic mandate is pretty undemocratic. I have no idea whether there is more to Werritty than a go-for for Fox: but if that is all that he is, he should have been able to work for Fox in an official capacity, albeit with fewer luxury hotel visits and first class flights. Had he done so, his role would have been properly defined. Which brings me to Lansley's bill that is finally getting the scrutiny it deserves thanks to a re-energised David Owen and a canny offer from Andy Burnham, who has made a flying start back at Health by offering to back GP commissioning if the bill is dropped. As Camilla Cavendish points out in an excellent piece (£) in the Times this morning, the bill makes no difference to patients, it will be blamed for the next NHS crisis [which I believe will follow Lansley's equally ludicrous abandonment of targets] and it doesn't actually require primary legislation. Indeed it may even set back the private and voluntary provision already introduced as a result of Alan Milburn's reforms. But all of this was entirely predictable, and would have been seen by a half-competent, politically aware NHS adviser in No 10. Cameron lacked such a figure because the No 10 policy unit was virtually non-existent thanks to the strictures of Maude. Even today, it is filled with civil servants rather than politically astute figures, for the same reason. Of course, Francis Maude thought he was being terribly clever when he announced a reduction in the number of Whitehall political advisers. And, funnily enough, the civil servants in the Cabinet Office cheered him on, as did the newspapers. It allowed a nice dig at Labour too. All of which would have been exchanged for a day's bad headlines had the coalition increased their number. Some ministers have created policy adviser posts for political appointees (who are subject to the strictures of civil servants on political activity) to get round the rules. But they shouldn't have to. The Prime Minister should have a strong cadre of able well-informed political advisers, and individual cabinet ministers should be able to assemble small teams of people they can trust politically to act in the interests of their democratic mandate. So, if and when Liam Fox goes, and once Cameron finally gets rid of the disaster that is Andrew Lansley [and it gives me no pleasure to note that this blog told you so long before the election], he should also move Maude. And do a U-turn on political advice. It is good news that Stephen Twigg, an unashamed fan of academies, has been appointed by Ed Miliband as his new shadow education secretary. Andy Burnham never really regained the initiative having started badly, although his focus on vocational education was one of a number of ways he recognised the coalition's weaknesses. But by allowing academies to be stolen by the Tories as their great initiative, he left his successor with a lot of ground to make up. Twigg must now be bold and ensure that Labour education policy has real credibility with parents, heads and teachers. He needs to be ready to outflank education secretary Michael Gove in areas such as rewards for schools that successfully overcome poverty - with a pupil premium that has real teeth - and to give a real sense of mission to academies and free schools. Whilst not disputing the need for rigorous academic qualifications, he should champion a technical baccalaureate as an alternative to the EBacc for some, but equally make clear where the Tories are simply following Labour successes on issues like floor targets and academies. Above all, he must regain the mantle of standards and diversity for Labour, making clear that a future Labour government would be on the side of today's parents and pupils, and not those seeking to turn the Labour policy clock back twenty years. It's good also to see Liz Kendall and Rachel Reeves getting much deserved promotions.